Peer review — as befitting its importance in scholarly communications — is one of the most highly-covered subjects on The Scholarly Kitchen, and one of the 13 topics to have its own (growing!) collection. We recommend The Peer Review Collection in its entirety to anyone looking to educate themselves about this important topic but, as a starting point, we have gathered what we think are some of the signature posts, and added a summary as well as some contextual links (often, but not always, to other Kitchen posts). Together they provide a helpful look at the topics that most concern authors, editors, publishers, and reviewers. In particular, we’ve highlighted posts that cover the issues which framed our first post of the week, on a healthy environment for diversity in peer review. This includes the role of transparency in editorial and reviewer roles and responsibilities, and in credit for review. In keeping with Peer Review Week 2018’s theme of diversity and inclusion, we also wanted to highlight diverse perspectives; in the posts we selected we found not only among the authors but also in the (often robust) comment sections a good variety of experiences and views. We also recommend The Diversity and Inclusion Collection as a great resource for posts on this important topic. One of the benefits of increased transparency in the peer review process is the opportunity it affords to better detect and address bias — in all its forms. Bias is a topic that has been written about quite a bit on the Kitchen, including in this 2015 post by Angela Cochran. She notes that: “Much of the gender bias in the publishing side could be eliminated by diversifying editorial boards, diversifying reviewer pools, zero-tolerance policies against gender bias in review, and review processes that protect authors from unfair treatment (going totally dark with double-blind review or shedding light on all participants with open review).” Also worth a read is this interview with Jory Lerback and Brooks Hanson on AGU’s study of bias in their peer review process. Spoiler alert: it exists! However, simply adding “a specific statement to the author instructions reminding authors about our results and asking that they consider diversity in their recommendations” led to a significant improvement. In this post and the extensive comments section, author David Crotty revisits the thorny question of credit for reviewers, who wants it, and how to calculate it. As David notes, a key problem with credit is inherent in all metrical systems of evaluation for scholarly work, namely what gets counted and who uses that accounting to what ends. David also points out, and several comments reiterate, the importance of reviewing as an aspect of researcher community building and participation. Making sure that the means to participation is clear, and invitations to participate are widely shared, will make for more diverse communities and thus more diverse peer review. In 2013 The BMJ committed to setting up an international panel of patients and patient advocates, to co-produce a new patient partnership strategy to advance the “patient revolution” in healthcare. The journal has been actively advocating for patient partnership for over 25 years, but we agreed that a co-produced strategy which saw us “walking the talk” on patient partnership in our own editorial process would make our advocacy for it both more credible and effective. BMJ have created a registry, actively solicited and supported patient participation, and found that review time is not slowed. They plan a formal study of authors’ response to patient reviewers (though informally they have found most authors have responded well), and may look at whether acceptance rates are different for papers with patient reviewers. 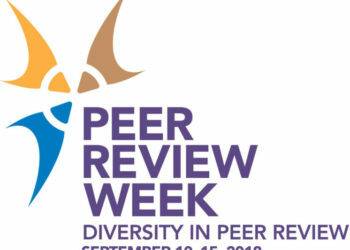 The project raises questions about how and in what ways diverse kinds of expertise can be sought for peer review. A key challenge in creating innovation in peer review is that peer review itself may not be well or fully understood. Ironically, lack of transparency about process flying under the banner of blindedness has hobbled our efforts to create workable, sustainable alternatives. In this post Tim Vines points to the essential work of editorial offices in managing the flow of reviews and, very crucially, arresting errors in the process and/or in the papers themselves. Tim proposed a couple of examples of this skilled labor: identifying conflict of interest among reviewers, or spotting a missing data set. The comments on this post are especially lively, include the fate of PubMed Commons, an argument that copyediting could be optional, and the role of library or institutional publishing. Angela Cochran’s comment especially struck us: “I am all for innovation, but step one is to actually know what you are trying to innovate.” Working toward more inclusive and diverse peer review depends on a full reckoning with every step of the process. We are reminded, though, of Phil Davis’s post from 2010 about the European Molecular Biology Association and other experiments in “opening the black box” of review process, which suggested significant extra costs associated with doing so. HSS disciplines and their publication format of choice — books — are often overlooked in scholarly communications (including here on the Kitchen), in favor of STEM disciplines and journals. This post from last year’s Peer Review Week goes some way toward redressing that balance. In the form of a conversation between Mary Francis, Editorial Director at the University of Michigan Press, and Chefs Alison Mudditt and Karin Wulf — both of whom have HSS backgrounds — it provides a good overview of the differences between the review process in these disciplines, and of the (then) recently published AUP Best Practices for Peer Review handbook. Intended to: “advocate for the value of peer review to those whose support is essential: deans and provosts, foundations and funders, regents, elected representatives”, the handbook itself is another invaluable and detailed “how-to” guide, which we also highly recommend. We hope this week’s posts along with this brief introduction to peer review on the Kitchen will inspire you to get reading, get thinking, and get sharing your own favorite posts and articles on the topic with everyone in the Comments section! 3 Thoughts on "Peer Review in a Baker’s Dozen"
I am wondering how close is the the rhetoric vs the reality as to how the academics, editor thru reviewers, actually process submitted articles. At one time, the academics handled this without the external pressure imposed by the publishers to meet publishing time lines. As we know, but have not adequately addressed, obtaining a reliable stable of volunteer reviewers is often thin and getting more so as the increase in submissions have upped the pressure. Yet these “employee” in practice have almost no say in the core issues, increasingly, since the monetization of journals (Maxwell’s insights). From being a service to the academic community, to ownership whether in fact or practice, it’s clear from this discussion of peer review standards, that the publishers are driven by maintaining credibility- impact factors, fake journals and “all that”- while there is little effort to recall their pre Maxwell relationship with the academic community at large, particularly those who moil in the editorial mines. The “service” to community argument is wearing thin as is the rationale of pricing as the default value of impact factors and related persiflage is starting to wax thin in a world where content wants to be free. Those who work at the editorial level within the publishing industry need to understand that, yes, standards are nice and important, but for whom do they benefit when academics under pub/perish with little recourse, regardless of such standards, are driven into a production mode and the “inspectors” driven to increase timely volume outputs for an increasingly reluctant purchaser. Somewhere there needs to be a decrease in the cognitive dissonance between the journal owners and the academic community. This would go a long way to reduce the need to pin a proclamation on the company bulletin board by management. Tom: We should go back to those heady premonitization days when it took about 18 months from submission to publication. In 1950 there were about 10,000 journals and now there are over 70,000. https://en.wikipedia.org/wiki/Academic_journal. I am sure there are at least 70,000 scientists willing and able to volunteer their time. I am sure there are copy editors, production folks, printers and catalogers/indexers who are willing to provide free services. In short, I am sure with a little encouragement the dissonance between journal owners and the academic community that a harmonious state will come to be. I agree that “with a little encouragement” change might occur. I believe that the publishers need to open up the discussion to explore how this can happen. Here is an editorial in University World News regarding the proliferation of articles: http://tinyurl.com/y6ucf2km. It’s a good place to start since it impacts at many levels including the number of journals that can be created and marketed. To address your “70,000”, I think this would be an interesting issue for the publishers to work on with the editors to increase reviewers, maintain reputations, and simultaneously move forward with the thesis that they want to tack to the “Church” to guarantee quality. That, of course, could include more than honorarium level of compensation and a certificate of service.